A couple of weeks ago Esther published a review in Dutch on Esther’s Rock Blog and on Rockmuzine. Yesterday she told me the review is now translated in English, so I’m sharing it below. 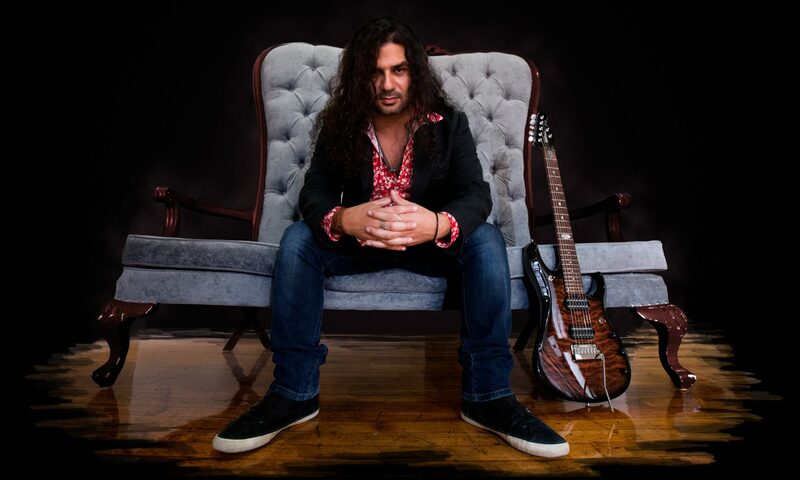 Shant Hagopian is a guitarist from Canada. In 2010 he founded the prog rock / metal project Semantic Saturation. The idea behind the project is to work with a different line-up on each album. ‘Paradigms‘ is the second album. Here, contributors included well-known proggers: Craig Blundell (Frost * / Steven Wilson), Kristoffer Gildenlöw (ex Pain of Salvation). ‘Carousel of Death‘ has a tight start. There are some high, electronic sounds. The rhythm is interspersed with melody. There are many twists and turns, with -for example- trumpet playing, which provides a jazzy twist. Because of the amount of twists your ears almost can’t keep up. ‘Empty Whiskey Jar‘ has a calm, collected start. Here too, all instruments are in balance. The vocals sound mainly as an instrument, but they are a wonderful addition. This track has a lingering dreamy atmosphere. For the first time, the ending is less surprising. However, during this part, small details are nicely incorporated. Initially ‘Ulterior Harmony‘ has a catchy rhythm. The guitars provide the rocking element, which slowly becomes heavier and faster. Again, there are unexpected twists and combinations that you should actually check out for yourself. The high tones of the keys are intermixed, or alternated, with the heavy riffs. This occasionally peculiar or restless mishmash is well balanced. The tempo is fast, while the melody is unwavering. All this is well distributed over the headphones. There is an extensive build-up towards the end, experimental in nature. This seamlessly flows into ‘Disturbance Within‘. After a calm, experimental start, a sudden hit of solid rock follows. Again, the guitar work is exquisite. Electronic sounds provide a spherical end. Semantic Saturation always knows how to surprise me: In ‘Universal‘ with their piano sounds. There is a transition to a more rocking, with a touch of Latin American atmosphere. There are plenty of twists in this piece. The piano returns briefly. The layers are also beautifully separated during the quiet part. There is a sudden change to rock. This contains a cool bass groove. In a nutshell, there is so much to listen to. Once again, the build-up is very good at the end. Also ‘Where Dreams Have Died‘ is fantastic. Towards the end the mysterious music is played softer and softer until you hear almost nothing. Then there is silence. But… the music returns. But just for a few seconds. This is amazing, what a surprising ending. This last track is an epic, which is a fantastic way to wrap up the album.